I typically stick to cold process soap but I’ve been intrigued by the latest craze of fluid hot process soap (Fluid HP). I’ve been getting email after email asking questions, so I thought I’d give it a try and put together a tutorial on the process. The problem with standard hot process soap is that it can be to thick to color and swirl. At best, you can glop it into a mold, but certainly not swirl it. 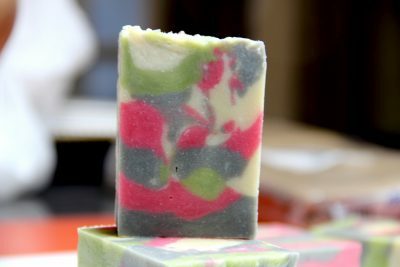 Soap makers have been experimenting with additives that make the soap looser and more easy to swirl. 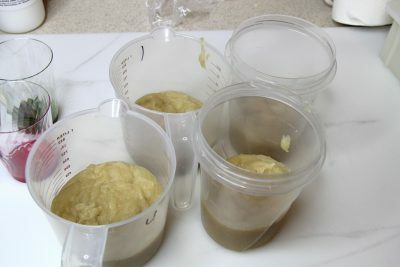 Here is my soap using this process! I am so excited about how it came out. It behaved perfectly and allowed me to swirl beautifully. 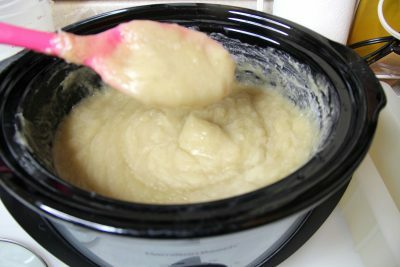 The good news is you can use any cold process soap recipe as a hot process soap recipe. 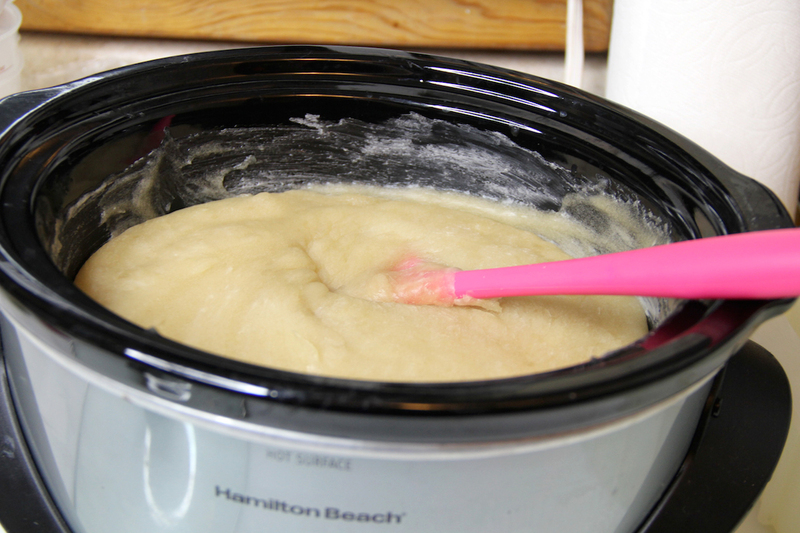 There are a few rules when making hot process soap. 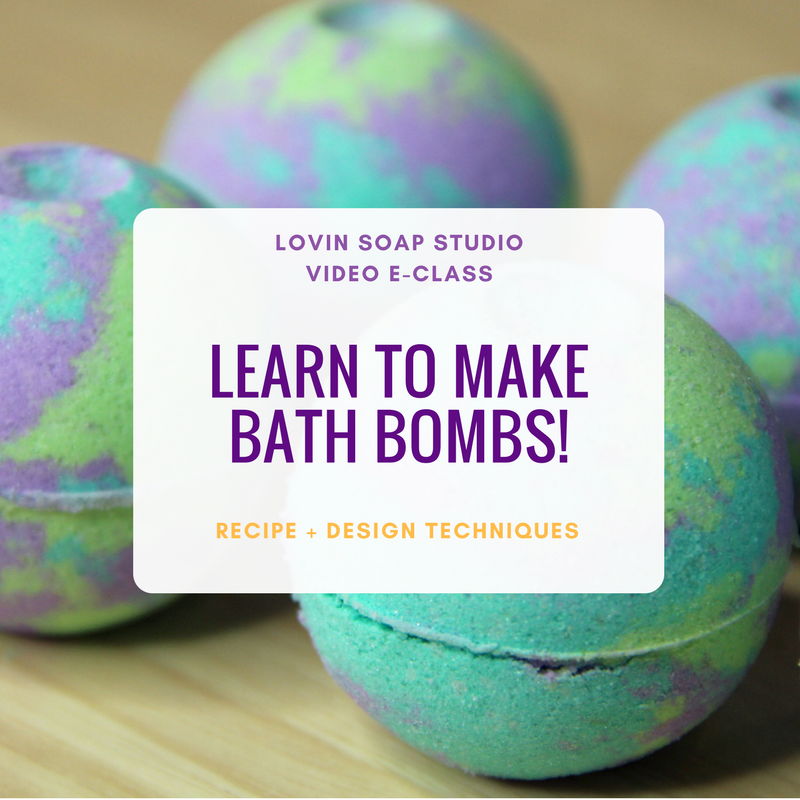 You want to use more water (if you normally discount) and you want to add additives that make your soap more fluid, such as yogurt, sodium lactate and sugar. 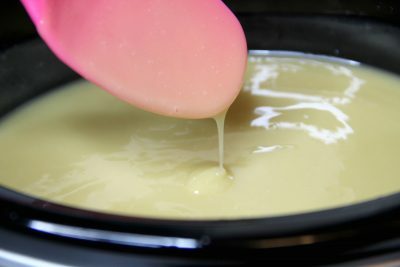 Here are some tips that I’ve come across when making fluid hot process soap. 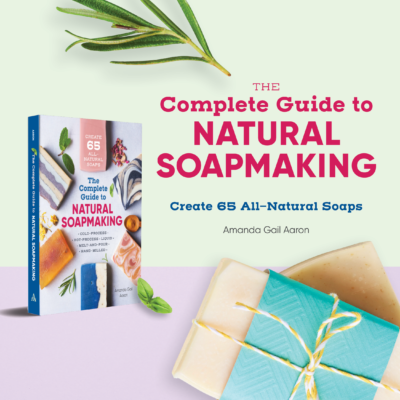 Water – I’ve noticed many recipes call for you to use the standard 38% (water as percent of oils) that SoapCalc gives you. I personally used 2.5 times my lye and it worked great. 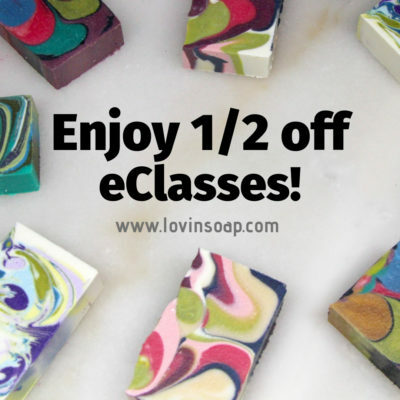 The more you discount, the less fluid your soap will be. The more water you use, the more fluid your soap will be but you run the risk of shrinkage after the cure. Sodium Lactate – Sodium lactate keeps soap fluid and also helps it to harden up. I use sodium lactate at 1 teaspoon per pound of oils. 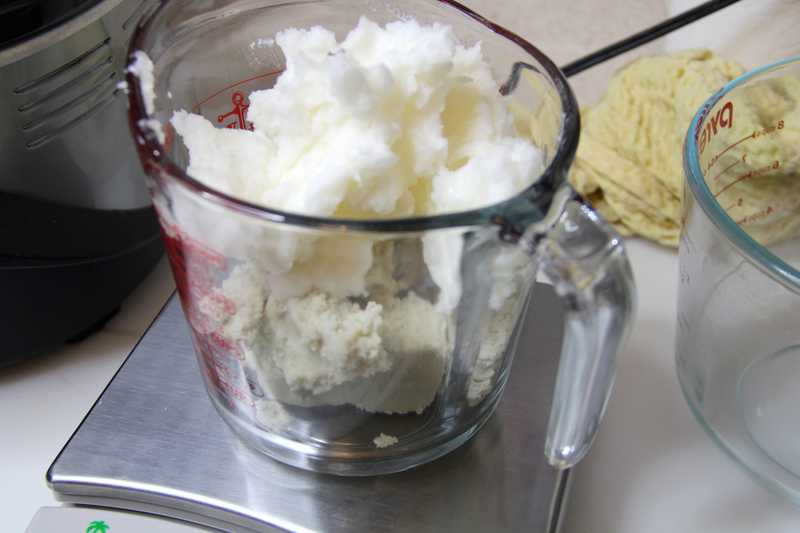 Using too much sodium lactate will give you a soap that is crumbly. The texture just gets weird. 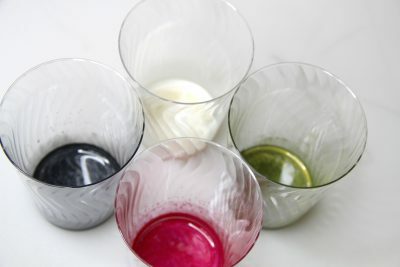 You can add sodium lactate to the lye when it has cooled off a bit or you can add it at the end when you add fragrance. 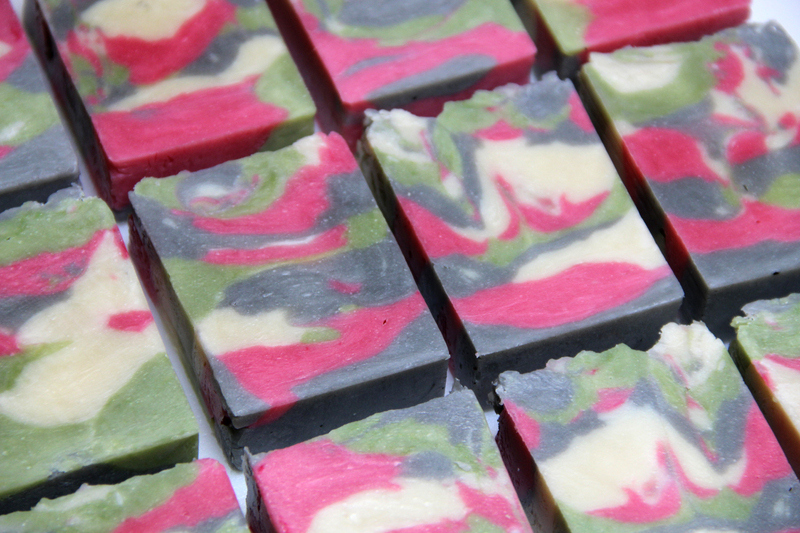 Sugar – Sugar helps with fluidity and it also boosts lather! I have no white sugar in my house so I used agave. You can also use maple syrup, brown sugar or honey. Use sugar at 1 teaspoon per pound of oils. Add it to the lye when it has cooled off a bit. 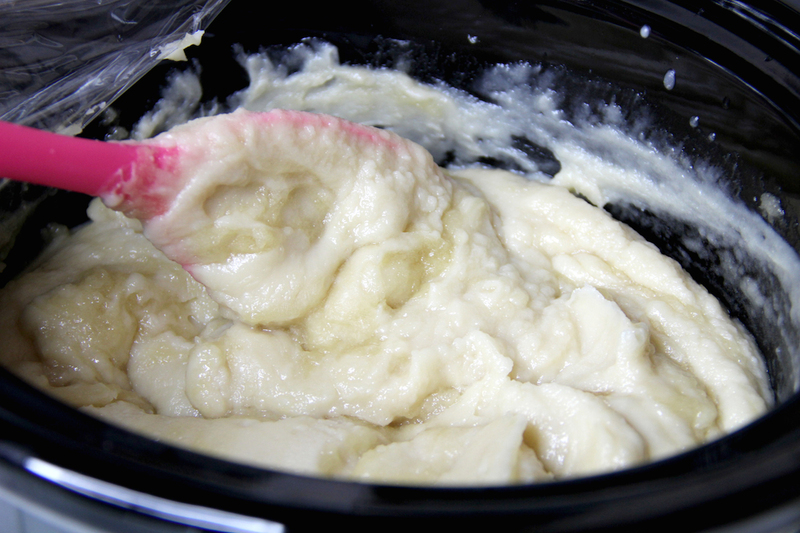 Yogurt – Yogurt helps keep the soap fluid. It has properties similar to sodium lactate. 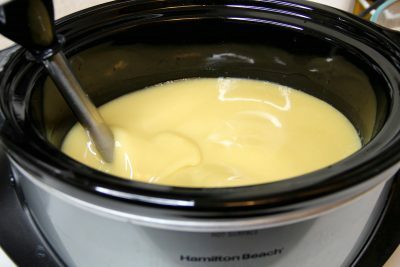 You can use yogurt at 1 teaspoon – 1 tablespoon per pound of oils. I used the high amount in the recipe below and used 1 tablespoon per pound of oils. Use plain yogurt. 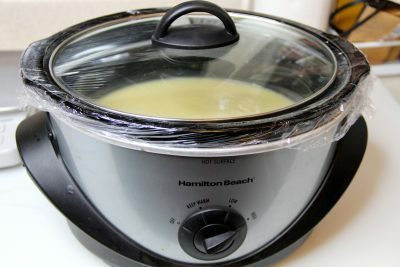 Water Evaporation – During the cook you want the least amount of water to escape as possible. You can use press-and-seal or plastic wrap under the lid to help reduce evaporation. If lots of water evaporate then your soap won’t stay as fluid. 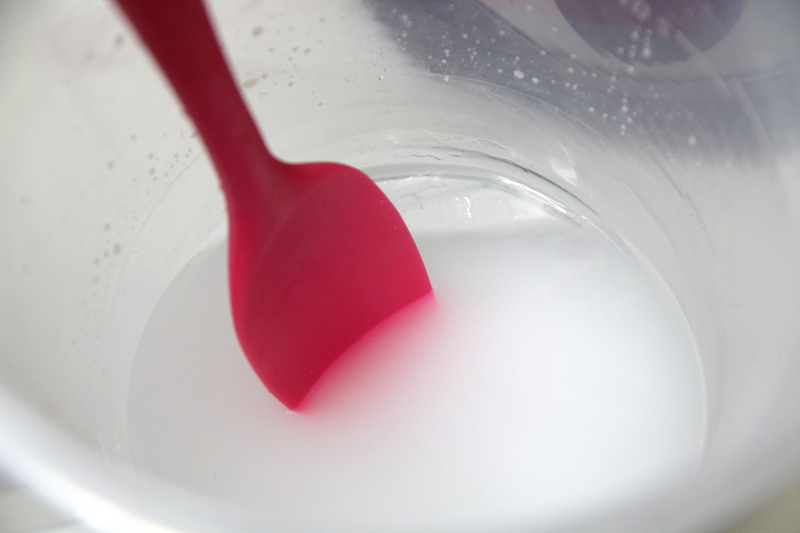 Don’t Stir Often – Stirring gives water time to evaporate, so minimize your stirring of your soap. During the cook, I only stirred once. Some soap makers don’t stir at all during the cook. Using some of these rules, I created the fluid hot process soap recipe below. This recipes uses 32 oz. of oils and is palm-free. It soaped beautifully and I was able to color and swirl the soap. Check out this video that shows how fluid it is. Sodium Hydroxide – 4.42 oz. 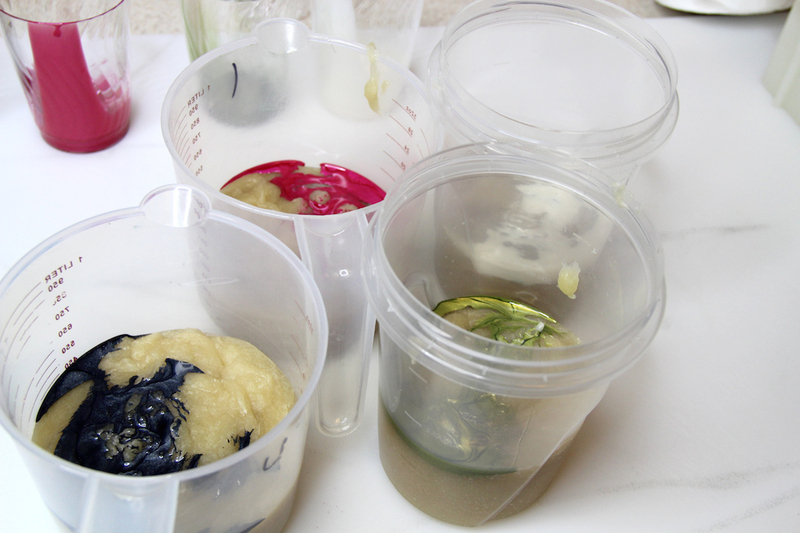 Safety Warning – Gear up in your goggles and gloves before making soap. 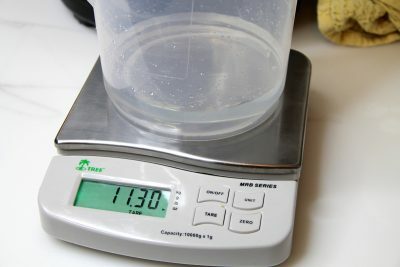 Step 1 – Weigh your water into a container. 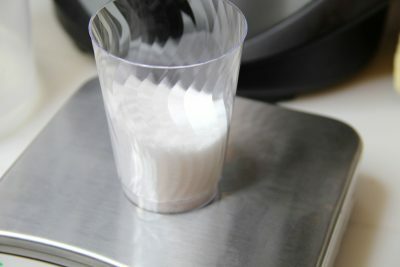 Weigh your lye into another container. Step 2 – Create your solution. Sprinkle the lye into the water while stirring, until completely dissolved. Be sure to mix in a well-ventilated area. Set aside to cool a bit. 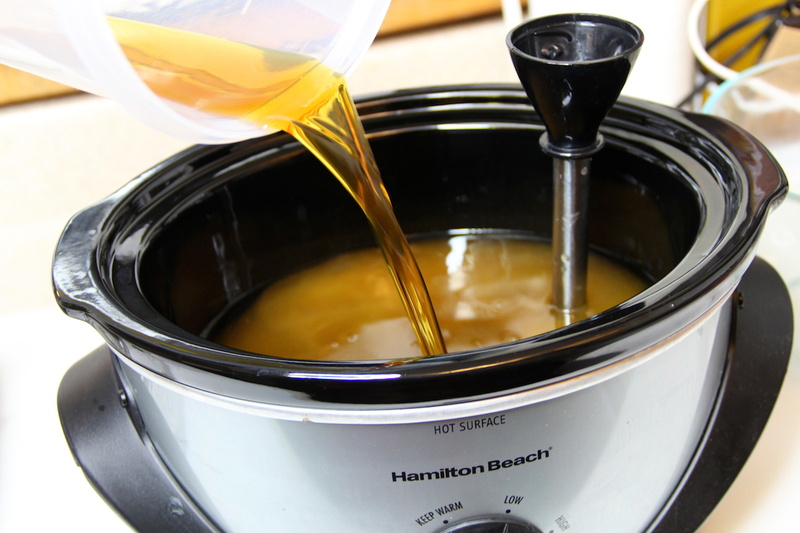 Step 4 – While that is melting, weigh out your liquid oils into the crock pot. Step 5 – Now that your lye solution has cooled down a bit, add the sodium lactate and sugar. I used agave and it turned my solution bright red! Step 6 – Once your coconut and shea are melted, add them to the crock pot. Be sure to scrape every bit out. 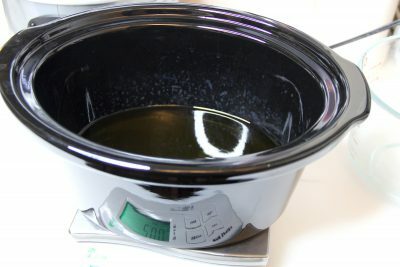 Step 7 – Pour the lye solution into your oils and bring to trace. I don’t think temperatures matter very much. Heat will just make your soap trace faster, which is okay for HP. Step 8 – Once you reach trace, cover your crock pot and set to cook. I put my crock pot on high. I used plastic wrap to help with water evaporation. 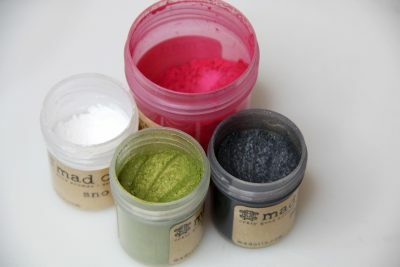 While the soap is cooking you can pre-mix your mica if you want. I just simply mixed 1/2 teaspoon of mica with about 1 teaspoon (maybe a bit more) of olive oil. 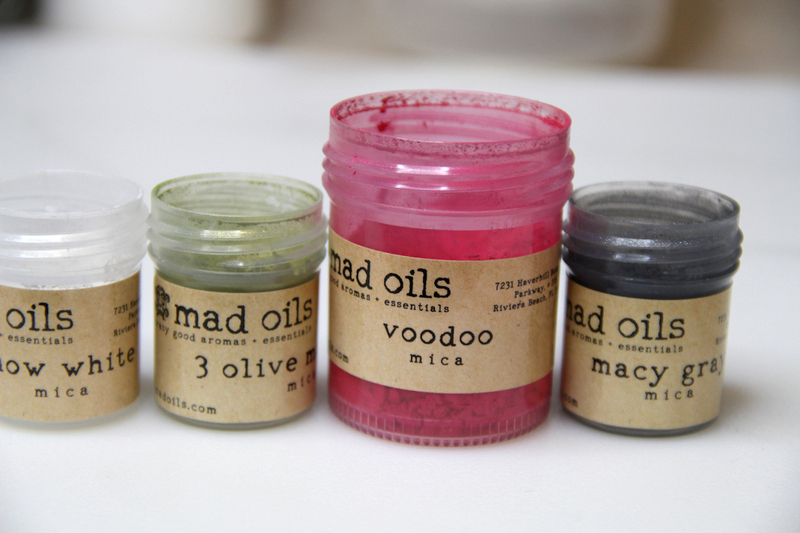 I used some mica from Mad Oils – Snow White, 3 Olive Martini, Voodoo and Macy Gray. You want the soap to gel and fully saponify. You’ll notice that it starts turning translucent. You can barely see in the photo below, but the edges start turning first. They get darker in color and turn gel-like. After it had cooked for about 15 minutes I gave it a stir. You don’t have to stir it. You can just let it gel. I couldn’t help but stir. You can tell it is not done because it hasn’t all gelled and it is still quite opaque and thick. Certainly not fluid. I covered it and cooked it for another 15 minutes. After 30 minutes the soap was done. I zap tested it. 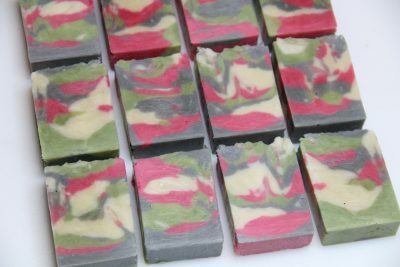 To do that I stuck a wooden craft stick into the soap and coated it thinly. Then I blew on the soap to harden it a bit (you don’t want hot sticky soap stuck to your tongue). Then I touched it to my tongue. No zap! This means that the soap is cooked to neutral. 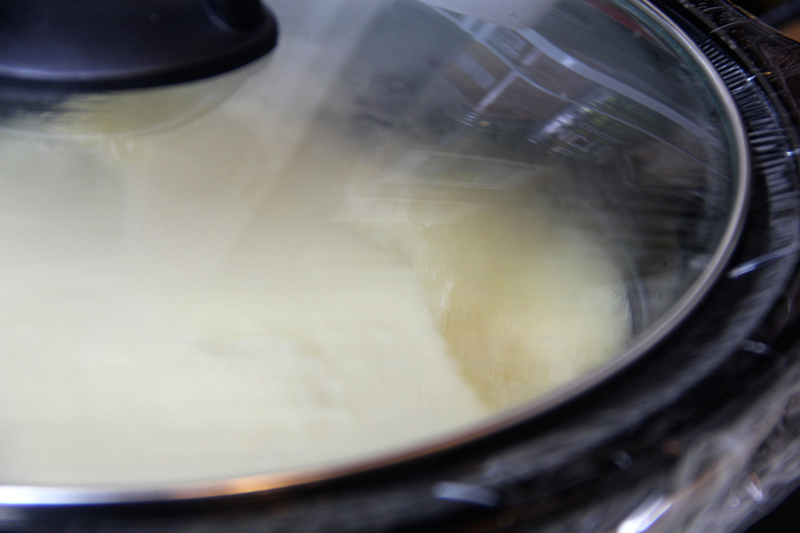 Step 9 – Once cooked, add the yogurt and essential oil and stir. You can let it cool down a bit. The more you let it cool, the more it will solidify, but it does stay fluid for awhile. 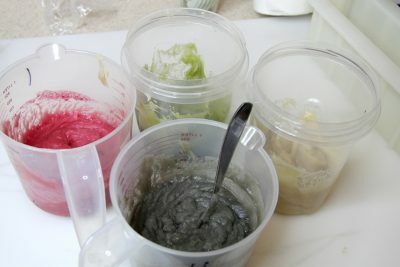 Step 10 – I divided the soap into four containers and colored each one. The soap stayed nice and fluid as I worked with it. It did solidify a bit on the top, but you can just stir it back in. Step 11 – For the design, I decided to do a simple spoon swirl. 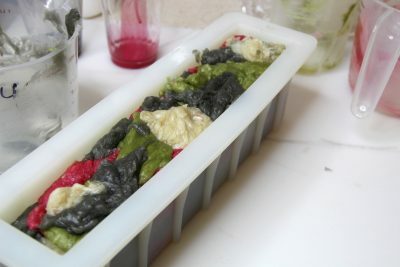 I simply spooned the soap into the mold, rotating colors. I used a wooden craft stick and swirled the inside. Fluid hot process soap tops won’t be as even and smooth as cold process soap tops. I used my spatula to smooth down the top a bit. 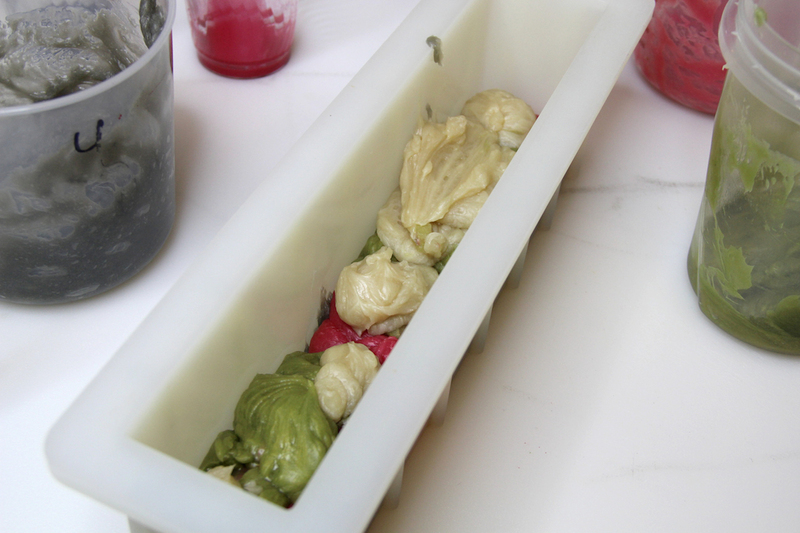 Step 12 – Let your soap fully harden and then cut! Mine took about 4 hours to fully harden (in the fridge). I was able to unmold and cut the same day that I made it. I do recommend that you cure your fluid hot process soap. Since it is fully saponified you can use it upon unmolding. But it will be a much better bar after some of the water evaporates during the curing process. I recommend a 2-3 week cure. 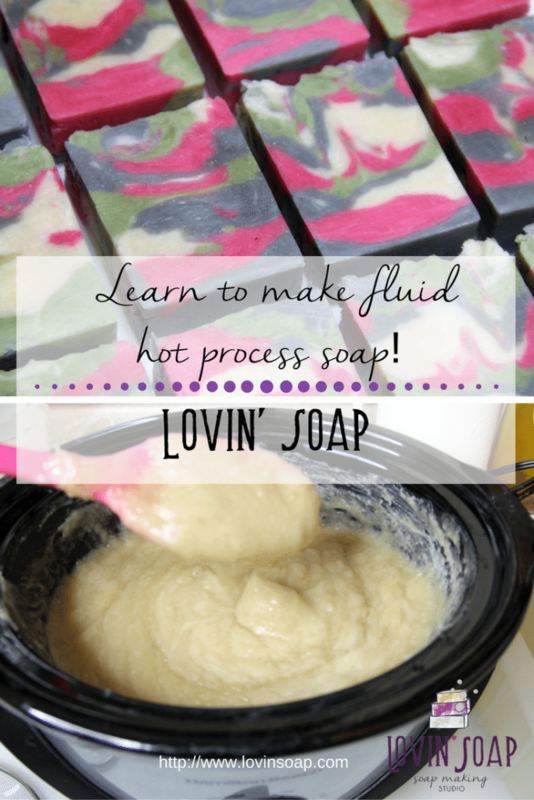 I hope you enjoyed this fluid hot process soap tutorial! I tried this recipe yesterday. When I unmolded it, I thought it was a mistake. Until I cut it. It’s beautiful! Thanks. I love this recipe! What oil can I use to replace rice bran oil?? I am wondering this as well! 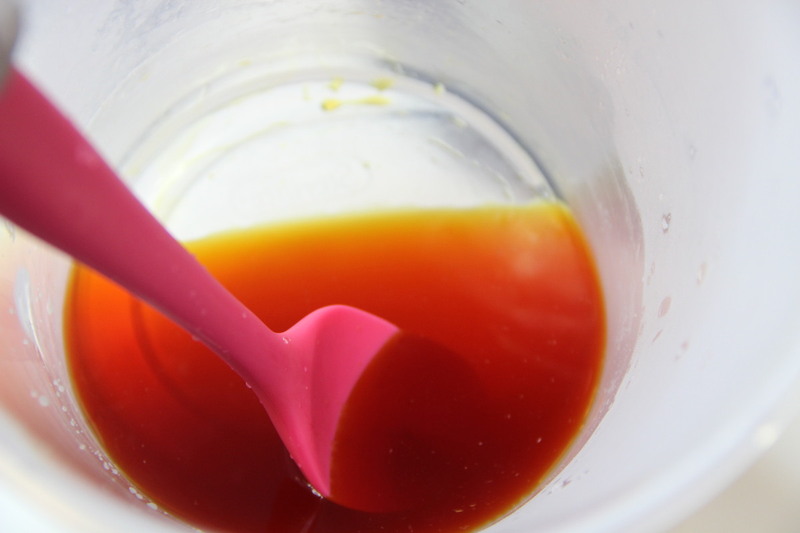 I just used honey from our hives and it turned the lye water red too! Hoping it won’t stay this way. I’m a HP soaper too and always looking for new information so really enjoyed learning about making HP more fluid. I was curious why it isn’t necessary to add any preservative, like ROE, to prevent the yogurt going bad? Please I have a question, it falls in line with your master batching book. I really like hot process soap, I would like to master batch my oils to use in the future for hot process, are there any precautions, things I should be doing to my oils before I reheat them to use again? Doesn’t really look like fluid CP and you still have a long cure. I think, since I’ve been a maker for 20+ yrs, I would pass on this recipe. Actually HP soap only takes about 1 week to cure as the saponification process is already complete and most of the moisture is already gone from the soap. Than you Amanda for sharing your knowledge with us! 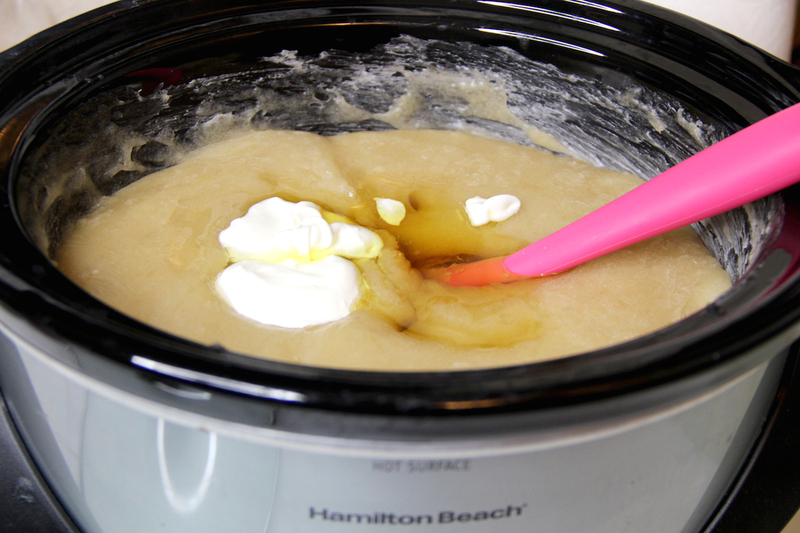 So far the other HP method has been well… A hot mess!!! I will give your technique and recipe a try! Amanda, you are wonderful how much information you post to help us! I try to give you as much credit as I can when people ask me about my recipes. 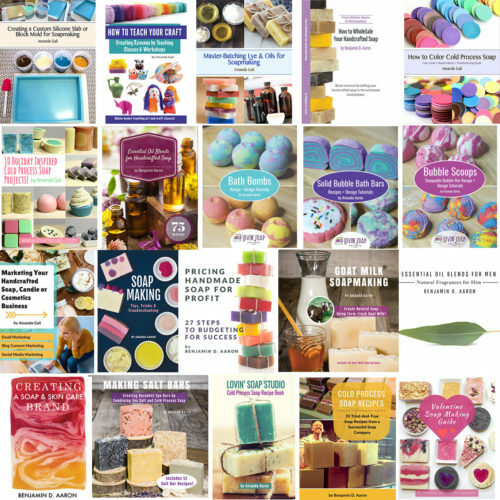 I’ve had people say they want to make soap and I send them to your site and the Facebook group! You really have helped me find a hobby that I love too. If I ever meet you, I’m giving you a hug! LOL. Amanda thank you so much for sharing!! Another way of having fun!! Hoooray! Am so glad I came across this hp recipe. I have been doing cp till now. The only time I used the crock pot was when I had to rebatch. I have been going thru a lot of hp tutorials but none till now seemed so easy. Gonna try your method this week itself. Especially with spicy Eos and fos that seize the batch instantly. Love your tutorials and posts. You make everything so easy!!! I keep referring to your posts, tips and tricks all the time. I was wondering ,can I just add the sugar and yogurt and not the sodium lactate? Do you think it will still be liquid enough for swirling? Right now I don’t have the sodium lactate ,but would love to try this! 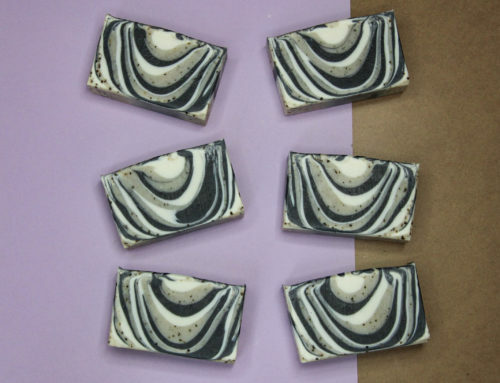 Hi, I love this soap and want to try making it. When I put this into a lye calculator, the water amount is much different, but of course that is not taking into account for the yogurt and the sodium lactate, do I need to discount my water to make up for the addition of those liquids? Thank you! 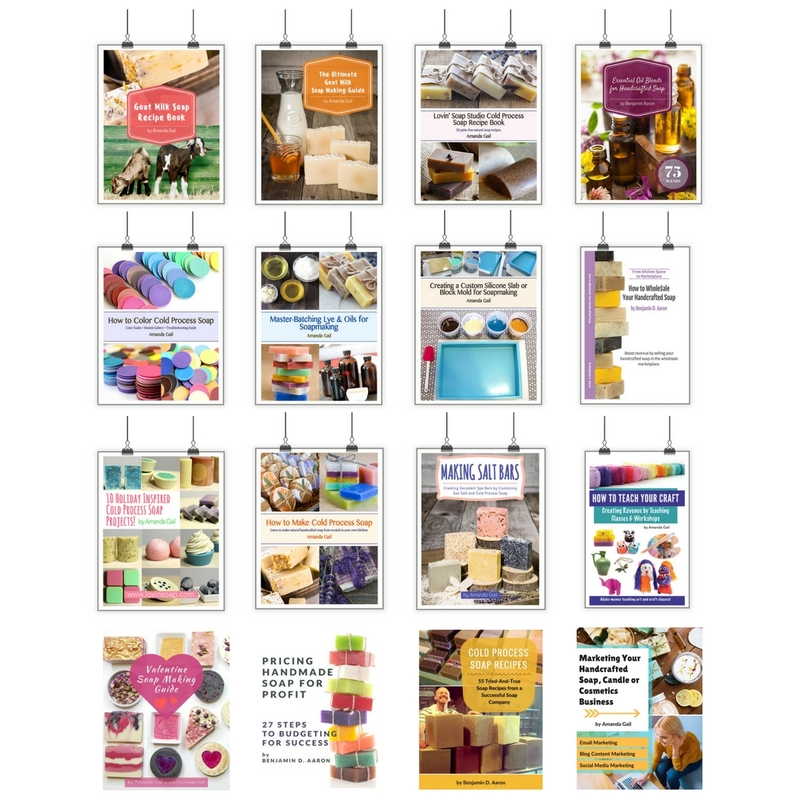 hi I love all your soap making courses they are professional and has very interesting information. 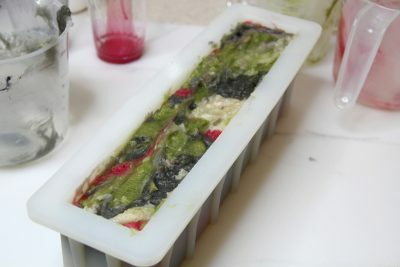 I was looking at the hot process soap that you make , it look so neat almost like cold process, do you have a basic recipe or video of hot process? 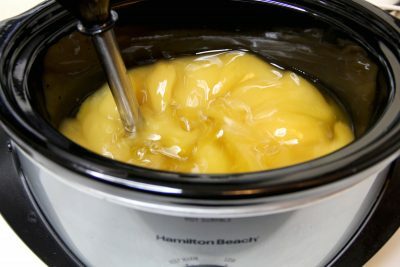 I would like to try the hot process soap but a much basic recipe. Hi Amanda. I have enjoyed your blog and recipes. I have a question about this recipe. In the ingredient section it said to add essential oil to traced soap and then in the instructions, it said to add it to cooked soap. 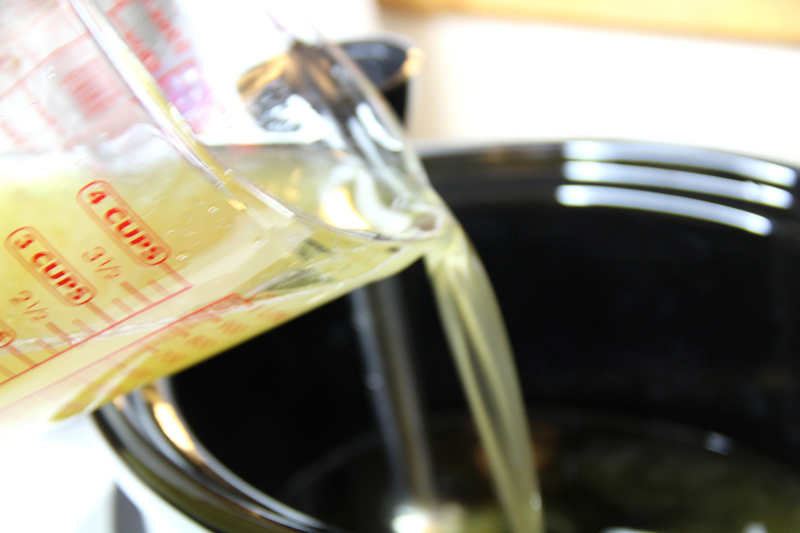 The essential oil would hold up better if added to cooked soap, wouldn’t it. Thanks for all the wonderful recipes and I admire the work you do with women around the world! Tammy, though I have limited experience with HP. I would add it to cooked soap. It’s cooler then, and I think the scent sticks better. 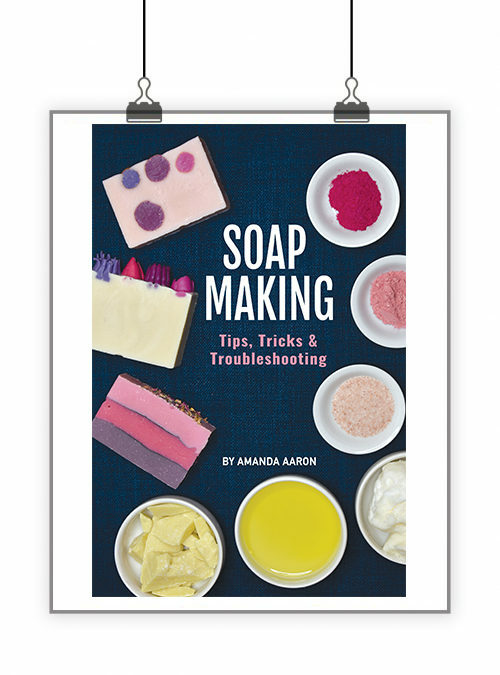 Amanda, this may be my new favorite soap recipe. I’ve made two batches and they came out just beautiful; perfect. I also want to thank you for your advise to use refined olive oil. 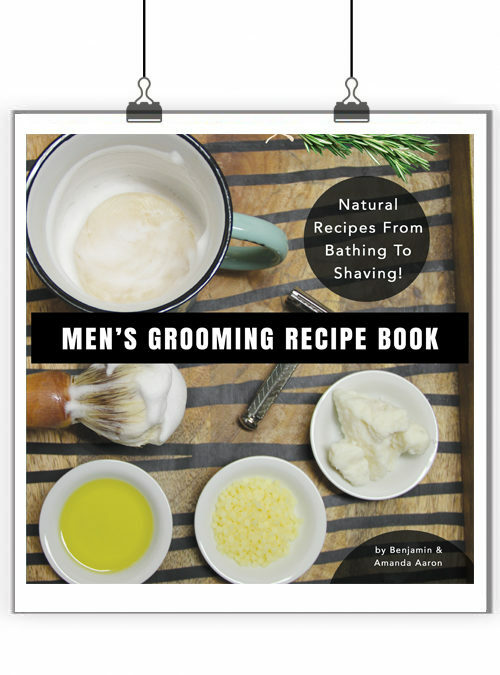 I had always used the olive oil from the grocery store and had a problem with my soap being soft. I tried the refined olive oil and it’s made all the difference. My soap is finally hard in no time. Plus, I had never added any type of sugar but I added the agave as you suggest; again a home run. 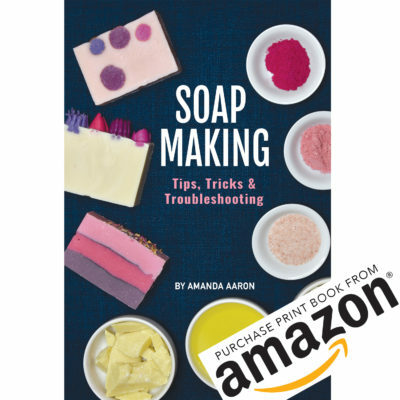 You are my go to source for how to make soap the right way! Do other sources of lactic acid work, or does it have to be yoghurt? Great! I was hoping I could do a white soap, and I keep getting brown with milk. Thanks! We do a lot of hp and love working that way! I have never used yogurt in a recipe though, did you have any problem with scorching yours? I’ve always been to nervous about scorching to try it. What size mold did you use? Looks like a tall skinny mold.